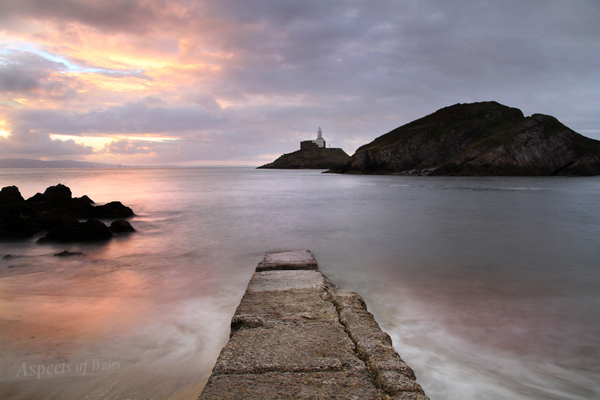 Taken at sunrise and high tide on 3rd September 2016 at NGR SS6309887390, looking out towards Mumbles Lighthouse from the base of the steps that lead down from near the pier entrance. Canon EOS 7D, Canon EF-S 17-85mm lens at 17mm, Manfrotto tripod. Exposure F11 at 2.5 secs.